Florida happens to be the deadliest state for pedestrians, accounting for 11.1 percent of pedestrian deaths nationwide. Being a major metropolitan city, many of those deaths every year are due to car-pedestrian collisions in Miami. 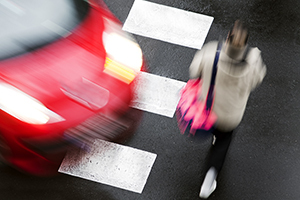 If you or a loved one have been involved in an accident as a pedestrian, you need to contact an attorney immediately. Our attorneys are equipped with over 100 years of cumulative experience in pursuing cases like yours where a car and a pedestrian have collided. Regardless of what role you or your loved one played in the accident, you may be entitled to compensation for the losses suffered, both in the past and future. As experienced attorneys in the field, our goal is to gather all the evidence we can for a successful claim to be brought on your behalf. We begin by taking note of the weather conditions at the scene of the collision, the driving speed of the motorist, any evidence of failure to follow proper traffic procedures, and other errors such as a failure to yield, and any distractions that may have played a part in the accident. We will be able to piece together the events that occurred at your car-pedestrian collision and determine the best course to pursue your claim. An accident reconstructionist will be hired, if necessary. Florida law holds both the pedestrian and the car driver to certain expectations as they go about their day. For the driver, prudence and care are to be exercised at all times. A driver should be aware of their surroundings and should be driving at the proper speed, which should reasonably allow him or her to evade a pedestrian without collision. As for the pedestrian, they are expected to obey traffic control systems, use the zebra crosswalks, and maintain a predictable walking pattern by using the sidewalk. Our state oftentimes places more responsibility on the driver, as they are the party with greater control and ability to avoid injury or death. As a victim or a family member of a deceased victim, you have a right to recover compensation from the party at fault and their insurance company and any other person or company that played a role in your accident. You may seek compensation for hospital bills and related costs, such as rehabilitation expenses, as well as loss of earnings and compensation for the pain and suffering caused to you by the accident. You or your loved one deserve to be compensated for what this car-pedestrian collision in Miami has caused, whether financial loss, pain and suffering, or otherwise. Take the time to reach out to our experienced attorneys who can help you reach a successful conclusion to your claim. Call us at 305-448-8585, or contact us online, to set up a free consultation available in English, Spanish, or Creole. 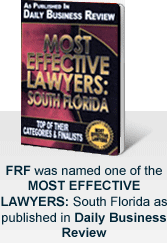 No attorney’s fees are due unless we reach a successful resolution of the case.